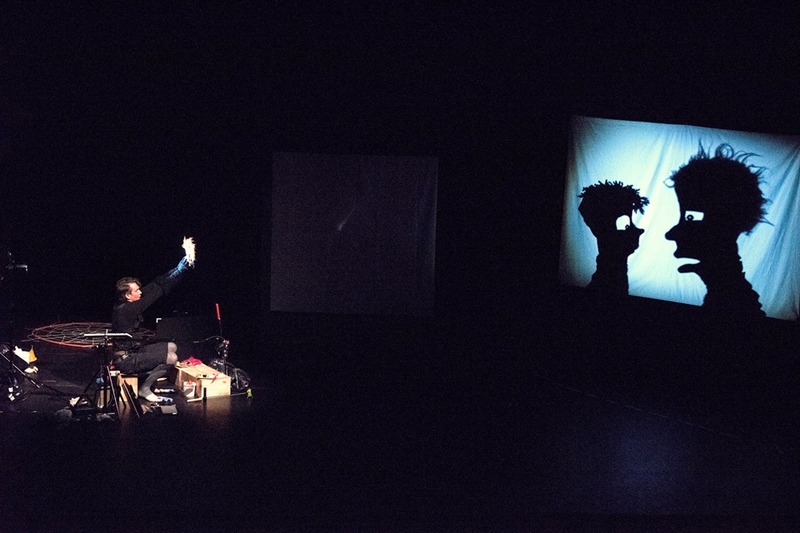 Stark and Dormy is a cleverly produced performance piece that is a testament to the creativity and innovation of the Bunk Puppets team. It is impressive to see the result of all the creative problem solving that must have gone into bringing this story to the stage, and to the screen. The logistics of this required the integration of shadow puppetry on two separate screens, and live action story telling from actors in the theatre. Although, for this particular show there seemed to be a disconnect between the performers (Jeff Achtem & James Pratt) and the audience in the initial stages of the show. There were jokes that were objectively well constructed, which fell flat with the audience. This may have been caused by the disruptive nature of switching between the mediums, or the introduction of the piece, which left the audience to infer the who, what, and where from context clues that were dropped over the next few scenes. However, once the set up was clear and the story had built up momentum, the audience was won over with some creative action scenes and comedic character work. The comedy in this show also came from the absurd storyline, and the props and techniques that were used to create the projections on the screen. As a comedic piece, they had to work for the laughs, and got them when they portrayed characters and situations in a way that rang true with the audience, or when they devised particularly clever ways to tell the story. As a technical piece, this was a masterful display of creative shadow puppetry, and credit should be given to the creators and performers for pulling this off. Stark and Dormy is on at The Fringe Hub: Arts House – Studio 1. Previous Previous post: Where’s Jerome?